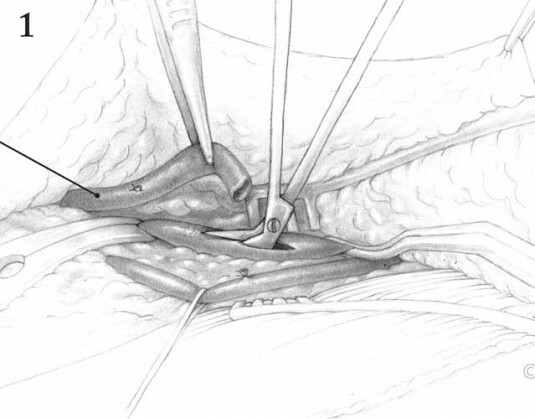 This piece illustrates the proximal anastomosis of the saphenous vein graft to the popliteal artery during the Popliteal to Dorsalis Pedis Artery Bypass procedure. 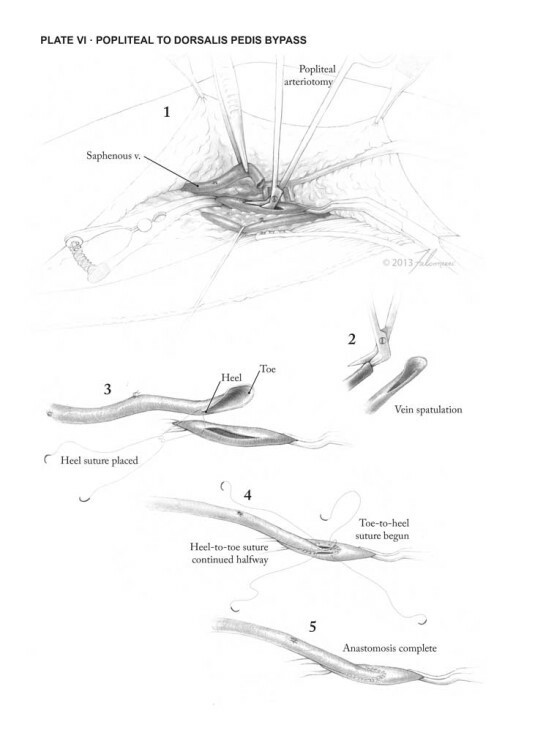 It was chosen for complete rendering from a series of sketches illustrating the complete surgery. The popliteal artery has been clamped off the saphenous vein has been directionally reversed and tunneled between the popliteal fossa and the dorsum of the foot prior to this surgical moment. This illustration was created in collaboration with the surgery department at Johns Hopkins Hospital in Baltimore, Maryland. It was rendered in pencil and Adobe Photoshop.